The shelf life of a footballer is a remarkably short one. Players can be a hero one week and a villain the next; just ask Cherno Samba. Rated as a 14 year old as the player who was set to spearhead England’s 2006 World Cup hopes, by 2008, he’d been released by Plymouth Argyle. Samba’s story is an all too common one in the modern world of football scouting, of over-exposure at a young age, and missed opportunities. Samba rose to prominence as a 13 year-old in 1998, when he scored 132 goals in 32 games for St Joseph’s Academy in Blackheath. With agents already swirling around the youngster from Peckham – his father claims one agent offered him £25,000 to represent his son – Samba began training at Millwall. It was at the age of 14, that amid interest from a number of top clubs, Liverpool allegedly offered Millwall £2 million for the trainee. He went on a week-long trial at the Anfield giants, and a week later, took a phone call from Michael Owen, advising him to sign on at the Anfield club. However, the move never materialised; it appears because Liverpool weren’t prepared to go to tribunal, and Millwall weren’t prepared to name a price, although the player’s agents don’t appear blameless. Samba signed on at 14, a contract that guaranteed a 2 year contract when he turned 17. However, Samba admitted his hunger for the game had been dented. His career stunted. He was released by Millwall without making a senior appearance, before spending two years at Cadiz in Spain. A debut goal for Plymouth 2006 hinted at a return to form, but he’s failed to find form or settle at a club since. At the time of writing, he is plying his trade at FK Tonsberg in the Norwegian Second Division. Clearly Samba had his head turned, but Nicky Milo, a former head of youth academy at Millwall felt some of the blame could lay with the player. Samba assumed the mantle of football’s most famous lost wonderkid, from the precocious Nii Lamptey. Lamptey suffered a traumatic childhood, with abusive parents, including an alcoholic father, who often beat and lashed him. He found refuge, having left home at 8, at a Muslim football academy, and at 15, made the move to Europe, signing for Anderlecht. He first came on to the world stage scoring 4 teams and winning the Player of the Tournament award at the 1991 Under 17 World Cup – even being touted the next Pélé, by the man himself. The youngest player to appear in the Belgian League, 9 goals in 30 games indicated a growing potential. His next step was to PSV at 19, where 10 goals in 22 games in his first season should have acted as a springboard to further his reputation. However, he then made a puzzling move to Aston Villa, where his problems started. Lamptey recalls, that in a bid to make it in Europe, he had signed an exclusive marketing contract with an Italian player agent. Whilst thinking the agent would act in his best interests, in fact, Antonio Caliendo was “a shady character who held Lamptey’s transfer rights like a slave owner held his slave” (quote by a fellow German player agent, and an opinion also supported by Lamptey’s trainer Otto Pfister). Caliendo’s 25% cut of the transfer fee trapped Lamptey in his contract and any pretence of concern over the player’s development were cast aside. He failed to impress in England, unable to find the net in 16 league games for Villa and Coventry City. A series of European moves followed, including Venezia, Santa Fé, Ankaragucu, Uniao Leira and Greuther Furth, before spells in China and Dubai, with Lamptey finishing his career back in Africa. His cautionary tale of the dangers of being sucked into the hands of agents is one that unfortunately continues to be repeated as African youngsters place their faith and futures in agents in a desperate attempt to make the grade in Europe. Another name that should resonate with those who have scoured Football Manager for the next superstar is of course Freddy Adu. Adu first burst on to the stage as a 10-year-old, playing within a successful US Olympic Development Team that would go on to win an international U14 youth tournament. Reportedly, Inter Milan discussed a 6-figure fee for the 10 year-old, an idea rebuffed by Adu’s mother on the advice of her son’s agents. 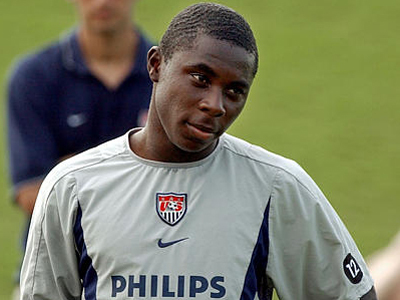 Instead, Adu made his MLS debut at 14 and later his USA National Team debut at 16. At the 2007 U20 World Cup, Adu appeared to have the world at his feet – a hat-trick in a 6-1 demolition of Poland and a key role in a 2-1 win over Brazil suggested as much. And yet, having made his long-awaited move to Europe in that year, for £2 million to Benfica, he returned, with his tail somewhat between his legs, four years later, with spells at Monaco, Belenenses, Aris and Caykur Rizespor adding a mere 5 goals to his tally of 2 goals in 4 years at Benfica. Adu returned to the MLS in 2011, where he encountered a brief upturn in form at Philadelphia Union, before joining Bahia in Brazil this year. Where did it go wrong for Adu? Was it the $1 million contract he signed with Nike at 14? Or the fact that when he signed in the MLS, he became the league’s highest paid player, despite having never played a senior game? When looking at the three cases, one initial question jumps out – were the players ever really that good? 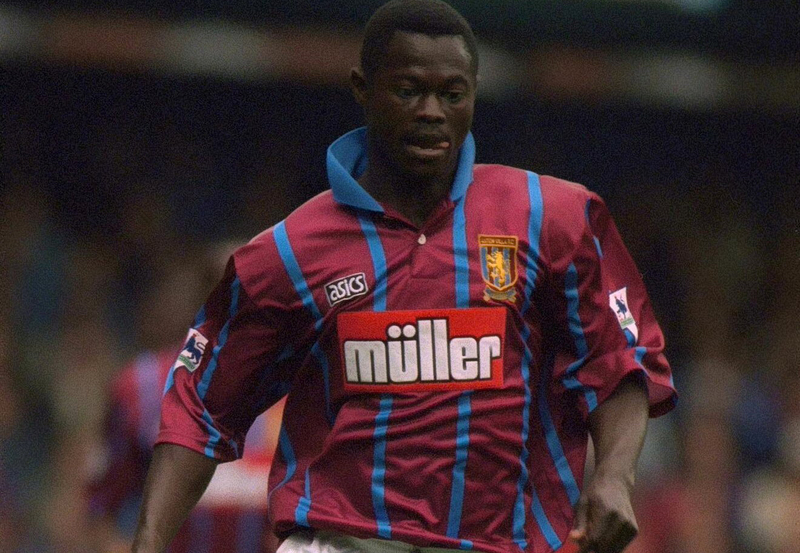 Of the three, Lamptey appeared to genuinely been robbed of a talented career by the work of unscrupulous agents. Adu’s early promise suggested he should have been a world beater, but like Samba, there is little doubt that his strength and physical attributes accelerated him well ahead of his classmates. Adu notably went on trial at Manchester United, but they never followed up on their interest suggesting Ferguson hadn’t seen “the new Pélé” potential that many had suggested lay within the young American. The involvement of money and agents clearly had an overwhelming factor. For Samba, his head was turned, and he appeared to lose the drive that he previously had. Similarly for Adu, an argument suggests that the million-dollar contracts may well have stunted his desire to progress. The work of agents ruined Lamptey’s career in Europe, whilst potentially scuppering Samba’s dream move to a top English side. However, it appears to be the over-exposure of young players which causes the most harm. In all three cases, the players were at their best (Samba in his earliest days, Adu at the U20 World Cup and Lamptey at the U17 World Cup), before the apathy of top level football and instant success had set in (although ironically Samba never actually got to the heights of top level football). When players think they’ve made it before even winning trophies, the likelihood is, an element of their drive is going to be stunted. It’s also observable across all three cases, that when the rot sets in, it is difficult to come back. All three spent nomadic years across various clubs in Europe, searching for a return to form. By comparison, Lionel Messi is one Football Manager wonderkid who has truly realised his prophesised in-game potential. And while his nigh-on angelic public image has begun to crack amid news stories of his previously unreported egotism, the Argentinian hasn’t yet let such distractions hold him back on the pitch. Could this be because Barcelona’s La Masia youth system nurtured rather than hyped up his talent before he was ready? It’s hard to say. After all, Messi is a unique and special case that’s largely unsuitable for comparison with others. Yet his origins as a physically stunted child who mastered the street football of his native football culture before being whisked away to a top European academy for growth treatment and a first class football education, highlights the care and consistency involved in his development. Perhaps Messi was too good for Barcelona to take chances with, but then again the due diligence over his progress could well be down to the culture of the club that took the necessary steps for him to flourish. Had Liverpool acted more decisively in their pursuit of Samba, his trajectory may also have flung him into the highest levels of the game. A better-resourced club and more concerned agent could have allowed Lamptey the opportunity to adapt and grow rather than be chewed up by the inconsiderate rush for short-term results and money. Freddie Adu may have become the player many thought he was destined to become – the first undoubtedly great US soccer player – had those around him sought to increase his understanding of teamwork, tactics, technique and the sophistications of the modern game rather than his portfolio endorsements. At 24, Adu’s career is by no means over but it now seems unlikely that he’ll ever meet his early expectations of becoming “the next Pélé”. This entry was posted in Analysis and opinion and tagged alex ferguson, aston villa, cherno samba, freddy adu, liverpool, manchester united, millwall, nii lamptey, usa, usmnt by Ethan Meade. Bookmark the permalink.